It has been a few days since our arrival in Wuhan, China. 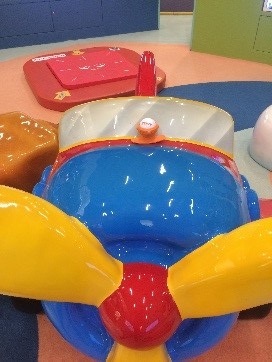 We came through Seoul, South Korea where Zippy had a few enjoyable moments in the kids play area while awaiting our next flight out. The Seoul is one of the nicest airports in the world. Look closely and you’ll see the ‘Zip’! 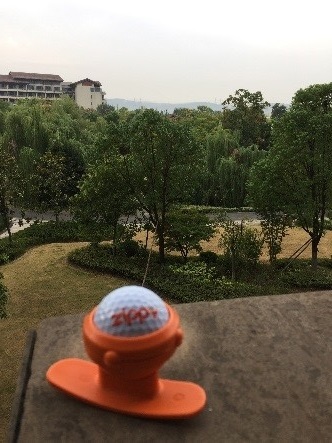 After settling into our hotel, the Hilton Optic Valley, in Wuhan (where the view from our room is quite pleasant) we made our way to the site of the Wuhan Open where we are working as part of the WTA Sports Science and Medicine staff. I am one of three Massage Therapists here at this tournament that work side by side with our team of five Physios. We provide for the medical needs of any and all players at this tournament. I have found Zippy to be an effective addition to my tool kit when working with these professional athletes. 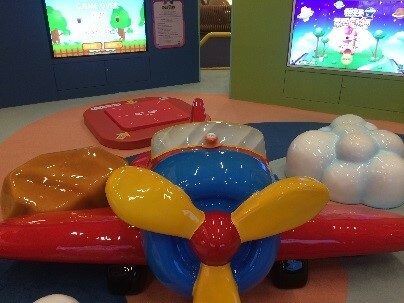 Keep an eye out for additional glimpses of Zippy at work and at play here in Asia! 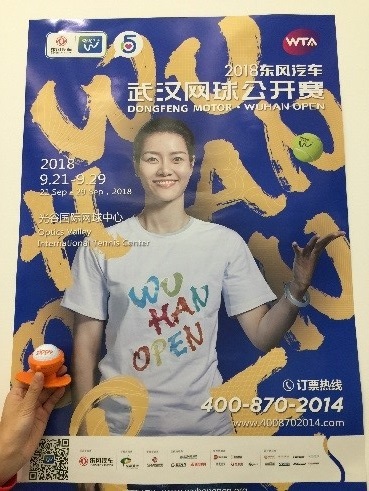 Zippy enjoying the view and checking out the poster of Chinese star Li Na here in Wuhan. Board Certified and Licensed Massage Therapist.